There is a story about school reform that has caught on in recent years. It goes something like this: Politicians, researchers, and superintendents — who know what children need — are trying to institute brave, progressive new reforms in our failing school system. But standing in their way are teachers who are simply not trying hard enough, and evil unions that selfishly protect adults and don’t care about children. The solution? Break the unions and let the leadership do whatever it thinks best. This story is manipulative and misleading. It ignores the abuses of power that led to the need for unions in the first place; it ignores the deep flaws in the corporate reform and testing movements; it ignores the need for quality teacher professional development and support; it ignores the vast diversity among teachers unions; and it fundamentally puts forward a regressive, untenable solution to our educational woes: improvement through the dis-empowering of a massive number of people. Fortunately, teachers in Chicago are putting forward a different story, one about empowered teachers acting collectively to improve schools for both teachers and students. 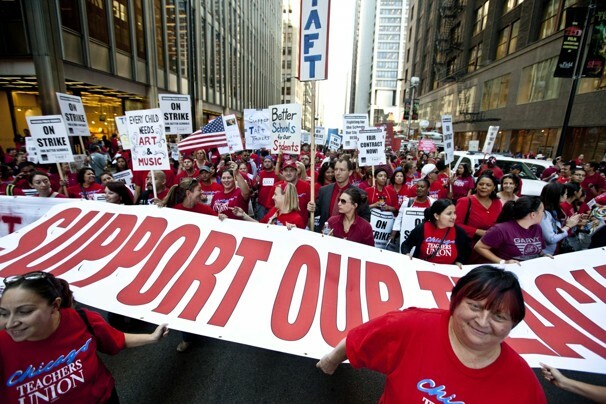 Despite confining limits on the union — including a state law that forces them to debate only wages and benefits — the CTU and its progressive new leadership are putting reform issues front and center. The CTU deserves our support. If we are going to have a productive national debate about the reforms we need — even the need to reform some teachers unions — we need to toss aside the anti-teacher narrative for good. 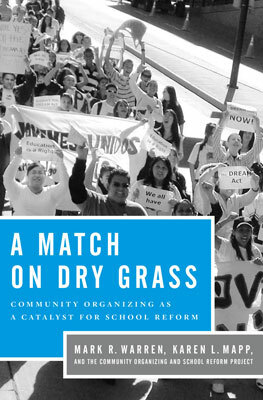 I am proud to be announcing the publication of A Match on Dry Grass: Community Organizing as a Catalyst for School Reform. 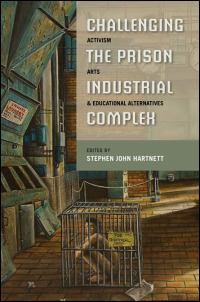 Based on case studies of six strong community organizing groups from across the country, this book gives a deep and nuanced look at the underlying processes involved in building power among parents, youth, and community members, and leveraging this power towards educational justice. The current national dialogue on school reform — with its focus on choice, testing, and market-based reforms — has left little room for the voices of the students, families, and communities that are most directly affected by education policies. At the same time, a growing movement of communities most marginalized by the current system — low income communities of color — are demanding and winning a say in how schools are designed and run. They are collaborating with educators, founding their own schools, increasing funding streams, addressing issues of racism and school violence, enhancing teacher quality, and integrating families and community members into schools as equal partners. Education is a key aspect of organizing to improve and empower communities, and community organizing is indispensable to the effort to create an equitable and just public school system. For the past four years I have been fortunate to be a part of a research collaborative made up of fifteen graduate students and two faculty members. Breaking from the traditional research mode, in which graduate students are seen as assistants, we made all our decisions collectively, from research design to writing. Along with two of my colleagues, Mandy Taylor and Helen Westmoreland, I got to work with the Northwest Bronx Community and Clergy Coalition (NWBCCC) and their youth-led affiliate, Sistas and Brothas United (SBU). It’s an understatement to say that I learned a lot from these powerful organizers and community leaders. We did our best to capture their deep knowledge and expertise in chapter seven, Cement Between the Bricks.